The house is warm and attractive with its refined decoration, original floors, old ceilings and exclusive furniture. The two suites, decorated with treasured antiques found hidden in the attic, have a very specific style. Breakfast is served in 18th Century surroundings, and weather permitting, may even be taken in the garden by the water's edge, under a century old pear tree, beckoning you to unwind and relax. 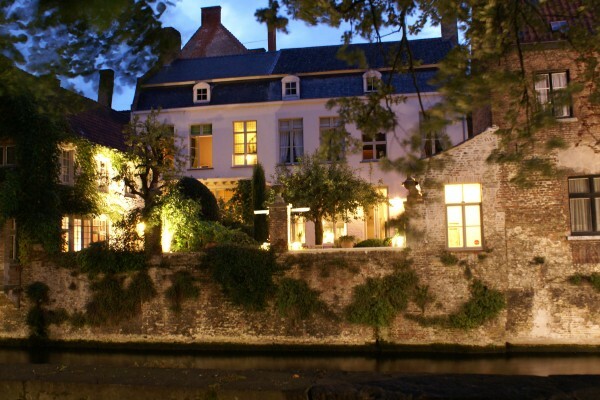 A fairy-tale atmosphere guaranteed - the view of the Groene Rei is unforgettable. The atmosphere from the salon-bar, with its background music will add to your sense of relaxation and help you to plan your day in Bruges or simply enjoy the calm and serenity. 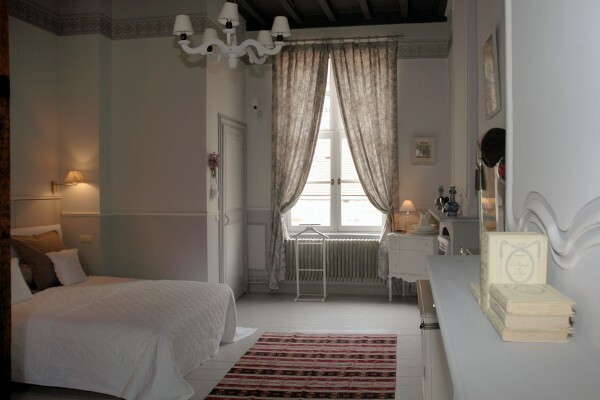 warm and attractive with its refined decoration, original floors, old ceilings and exclusive furniture. The bath-tub in the middle gives the final touch. Rate: 140 Euro/n/ 2p. breakfasts, VAT, Taxes and service included. 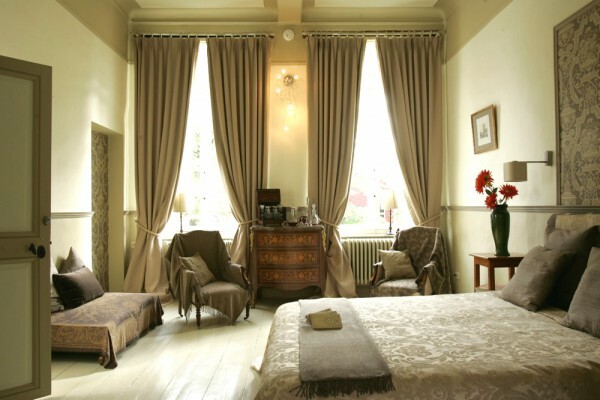 Rate: 140 Euro/n/2p.,breakfasts, VAT, Taxes and service included. Na een romantisch dagje in Brugge hebben wij ons verloofd in de mooie tuin van cote canal. Ook de uitbaatster zat mee in het complot en zorgde mee voor een echte verrassing. Het verblijf heeft een ideale ligging, heerlijk ontbijt en romantische kamers. Service is top, altijd bereikbaar maar voldoende privacy. We moeten er dringend nog eens terugkeren. We stayed at Coté Canal for 4 days in April and had a fantastic time in Caroline's house in the center of Bruges. We loved everything: The rooms, the history of the house, the breakfast, the fantastic garden, the view and not to forget: Caroline. She is the most helpful hos we ever met and she always smiles :-) The city Bruges is beautiful. We will soon be back! Tres bon acceuil Agreable Sejour. Adresse à ne pas oublier. Ville Magnifique . This place is 'heaven on a stick' and Caroline is a most gracious and welcoming hostess. We spent a pleasant evening in conversation with her husband too. Caroline could not do enough to make our visit to Bruges as enjoyable and comprehensive as possible. The garden is a delight as are the rooms. As an historian, I was intrigued by the fascinating story of this family home which has played some extraordinary roles in the history of Belgium and surrounds. Did you stay in Cote Canal? Let us know what you thought about it and help others to make the right choice! * I confirm having stayed in Cote Canal.